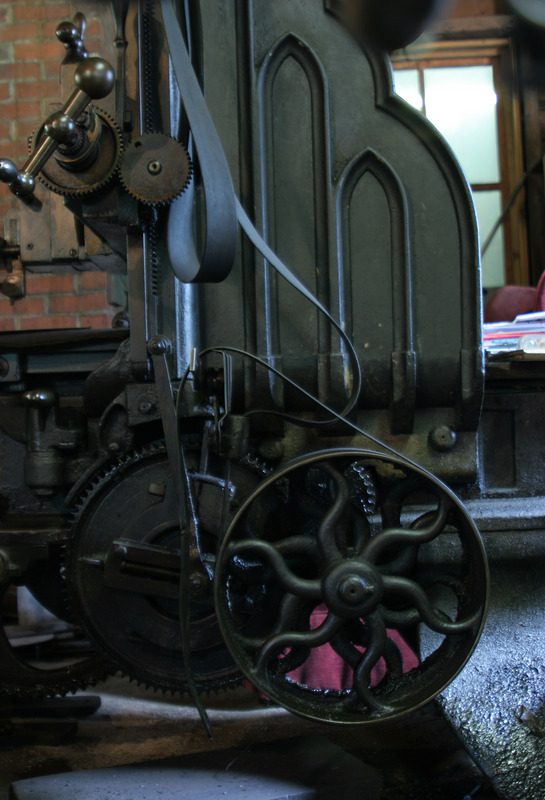 A Whitcomb & Co. planer, one of the many machines found in the Grady Machine Shop. The newest exhibit being brought to the museum is the Grady Machine Shop. “It’s really no more than an upgraded blacksmith shop…” is how Chester Grady described his machine shop in a 1984 Republican Journal article. But the roadside shop a bit west of downtown Belfast was an icon of American ingenuityand entrepreneurship. In it, one man used cutting-edge technology to fabricate parts for machines that had sprung from the second industrial revolution. And he helped move his corner of America forward. 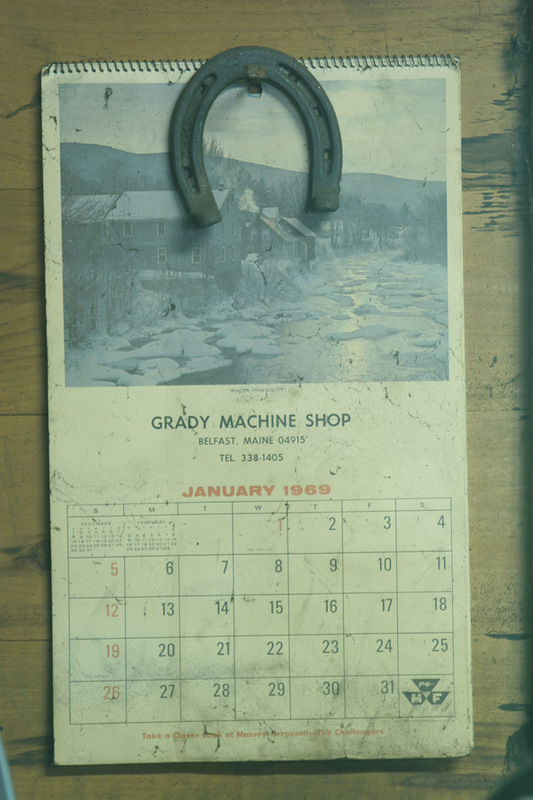 A calendar from Mr. Grady’s original shop. The next time you come to the museum, make sure to stop by the Grady Machine Shop, housed in the Visitor’s Center, and see the progress of the shop’s installation. When you visit, you will witness the intelligence and ingenuity of one man who worked with his head, his heart, and his hands to serve his community.